Bring 1 1/2 cups simple syrup to a boil in a small saucepan. Remove pan from heat and add cucumber slices (reserving 12 for garnish), 24 mint leaves, and basil. Cover and let steep for 30 minutes. Strain cucumber-herb syrup into a jar, pressing on solids in strainer. Fill a 12-oz glass with ice cubes. Add 2 Tbsp. syrup and top with soda water (about 1/2 cup). Stir to combine. 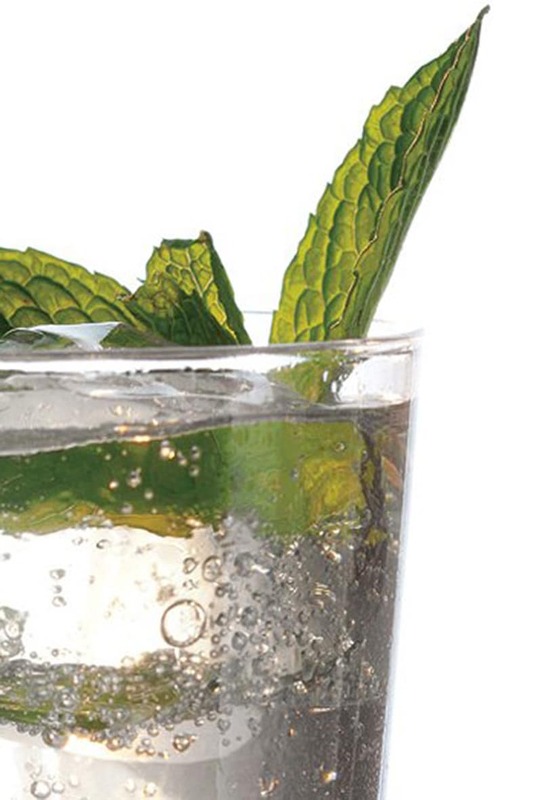 Garnish with cucumber slice and sprig of mint. Repeat to make 11 more sodas.